﻿ What Is Covered By Insurance Medicare Part D? 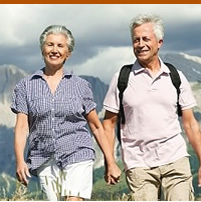 Insurance Medicare Part D, Medicare’s coverage for drug and prescription costs. Part D aims to keep the rising cost of medication from affecting Medicare’s beneficiaries. Medicare Part D went into effect on January 1, 2006. Anyone already covered under Medicare Part A or B is eligible for Insurance Medicare Part D coverage. In order to receive Medicare Part D benefits, a person already enrolled with Medicare must register in a “stand-alone” Prescription Drug Plan (PDP) or Medicare Advantage Plan which must include prescription drug coverage (MA-PD). Medicare Part D, covers a wide range of medical care which is not covered in the original Insurance Medicare Parts, A and B. However, in contrast to Medicare Part A and B, Part D coverage is not standardized. Plans are given the freedom to choose which drugs they will provide coverage for, to which degree they will provide coverage, and which drugs are to be excluded from coverage. Medicare Part D coverage may help lower the cost of prescription drugs. It may also help protect its beneficiaries from higher medication costs in the future. Another aspect of Part D coverage is that it provides a wider range of access to the drugs which beneficiaries required to stay healthy or treat an illness. As stated above, Medicare Part D provides coverage for a large variety of drugs not covered by Parts A or B. Part D plans must cover all commercially-available vaccines which medically necessary for the prevention of illnesses. Frequently, prescription drugs which are received in an outpatient setting, such as in an emergency department or during observation services, will not be covered by Medicare Parts A or B. Part D plans may covered these medications in some situations. If a beneficiary receives a medication in a pharmacy and takes it to their doctor’s office to have it administered, the pharmacist will bill Medicare Part D for the medication.